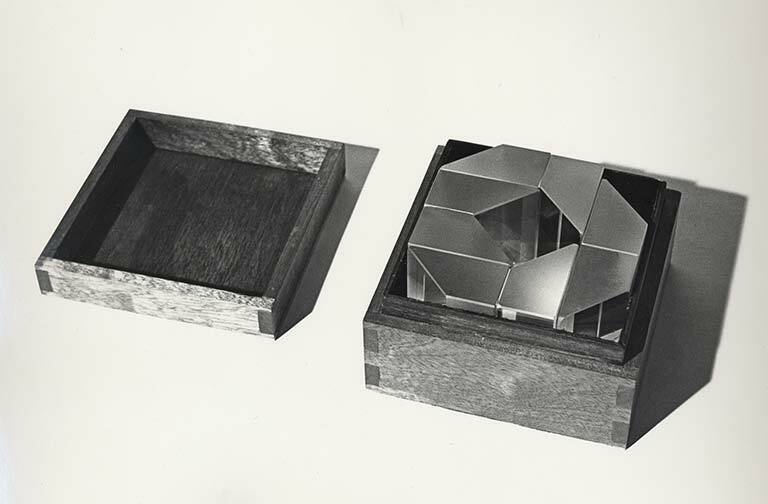 Optical glass prisms in velvet lined mahogany box, white base. 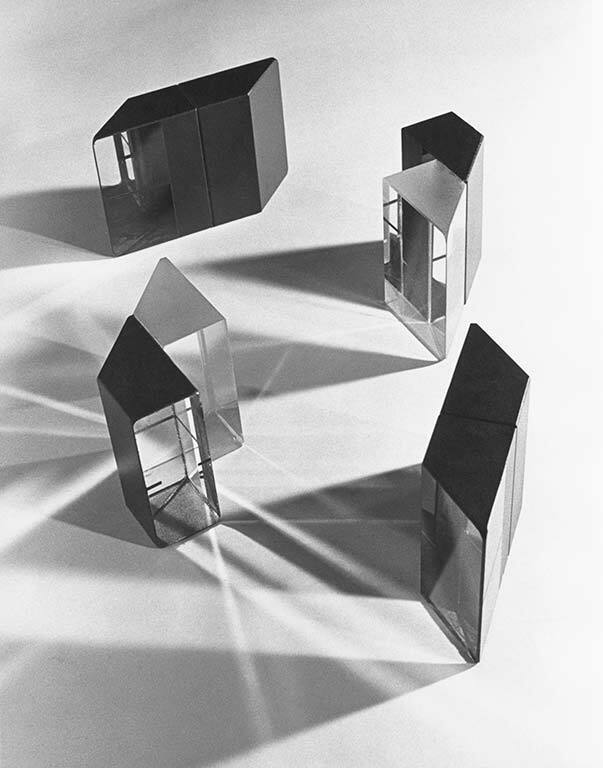 A series of nine, the works use periscope prisms made for Second World War Centurion tanks. Each of these prisms has the same geometric shape. The works are used to investigate the possible different combinations that could be made with that shape. 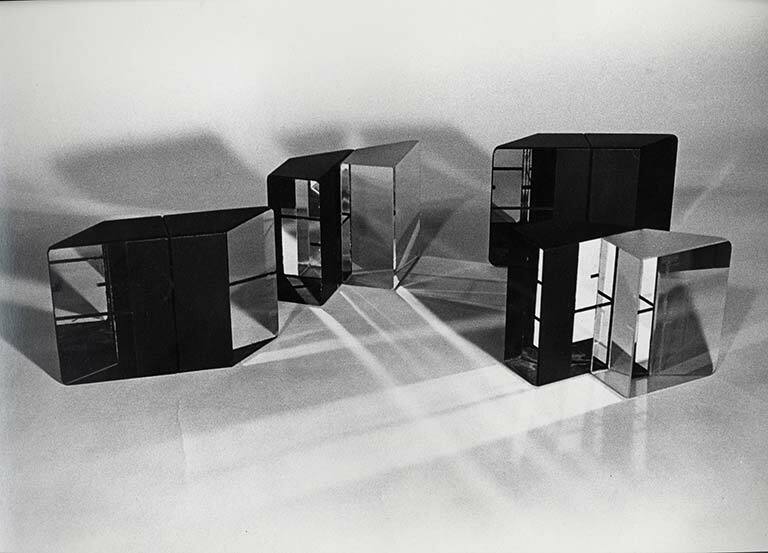 From these, Lijn created a number of different shapes, each made of two prisms, which could be put together like a jigsaw puzzle to fit into a square, rectangular or rhomboid velvet-lined box. The works are ritualistic meditations on form and space, and most importantly, on fitting. They were interactive works, but being glass, they had to be handled with care and attention. 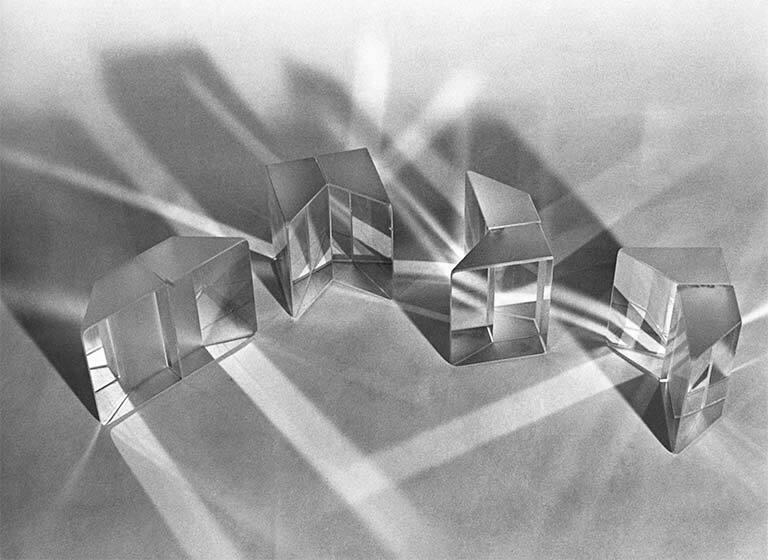 The prisms can be arranged on the base as wished, the piece being constantly made and remade by its owner. Crystal Clusters are concerned with architectural forms and the way in which these forms work with light.